The Vermont Ecumenical Council invites everyone to its annual service commemorating the Week of Prayer for Christian Unity. This service will take place at 3:00 p.m. on Sunday afternoon February 3 at Trinity Episcopal Church in Shelburne (5171 Shelburne Rd, Shelburne, Vermont). Following the service all are invited to a potluck dinner in Trinity’s fellowship hall, 4-6 p.m. Those who can, are invited to bring a potluck dish to share, but all are welcome! Those interested in bringing a dish for the potluck are asked to sign-up online – https://www.signupgenius.com/go/70A054DADA923A1F49-2019 — any questions can be directed to Ryan at info@vecncc.org or at 802.233.9603. COME SEE WHAT CHRISTIAN COOPERATION CAN LOOK LIKE IN VERMONT! The annual commemoration of the Week of Prayer for Christian Unity is sponsored each year by the Graymoor Ecumenical and Interreligious Institute in the octave between the Feast of St. Peter (January 18) and the Feast of St. Paul (January 25). 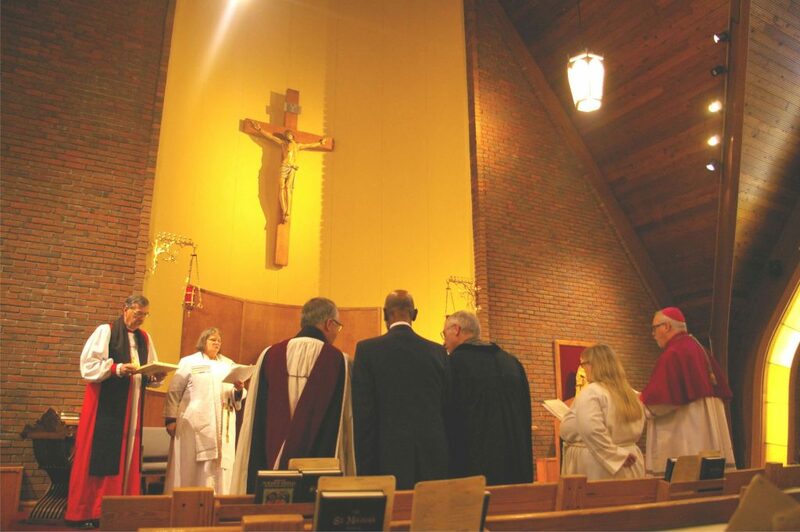 The Vermont Ecumenical Council is a newly revitalized statewide network for Christian cooperation seeking to facilitate cooperation in mission and ministry among all Christian Organizations, Christians and their churches in Vermont.